So. You’ve chosen to host your wedding rehearsal dinner—or another large special event—at one of Philly’s many wonderful BYOB restaurants. Excellent decision! Next step: buying enough booze to keep guests satisfied, but doing so without spending a whole paycheck. Max Gottesfeld, wine specialist at the Fine Wine & Good Spirits at 1112 Chestnut Street, shares his tips for doing it in the smartest way possible. Little-known fact: Select Fine Wine & Good Spirits stores have an on-staff wine specialist for you to consult. “They’ll be able to recommend wines that will be inexpensive and good for large amounts of people,” says Gottesfeld. Purchase a few bottles and conduct an at-home taste test — a task that could double as date night — to determine the best options for your event. 2. Budget for half a bottle per person. 3. Don’t count out boxed wines. 4. Choose type over brand. 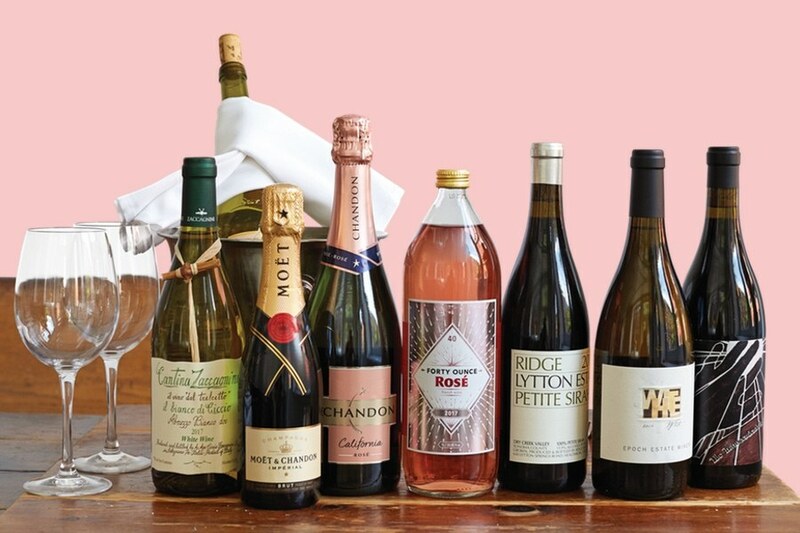 Gottesfeld’s picks: Forty Ounce Rosé, Casa Santos Lima Lab red and white wines, Château Gillet, or anything from the Pennsylvania Liquor Control Board’s Chairman’s Selection — a rotating list of bottles sold at a discount while supplies last.